A justice of that day had to perform a wide variety of duties. La Boétie was called in as literary critic and censor when the Collége de Guyenne wanted official sanction for the presentation of some plays. A little later he was entrusted with the delicate mission of traveling to Paris to petition the king, Henry II, for special financial arrangements for the regular payment of the salaries of the court. He was successful in this quest and brought back also a personal message from the great Chancellor of France, Michel de l'Hospital, who was trying to pacify Catholics and Protestants and prevent fratricidal bloodshed. By the age of thirty our magistrate had achieved considerable renown as a specialist in arranging compromise between these religious factions, with a scrupulous fairness that inspired confidence. 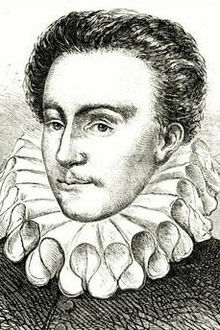 For the next three years, till 1563, he was extremely active at Agen, a hotbed of angry dispute where churches were violently entered and images destroyed. La Boétie was himself a devout Catholic with a liberal point of view. His sense of fairness generally led him to assign to the disputants different churches, and, in towns with only one place of worship, different hours for religious services. He wrote an approving Mémoire when the great Chancellor in 1562 issued an edict conferring greater freedom of worship upon the Huguenots. This method tyrants use of stultifying their subjects cannot be more clearly observed than in what Cyrus did with the Lydians after he had taken Sardis, their chief city, and had at his mercy the captured Croesus, their fabulously rich king. When news was brought to him that the people of Sardis had rebelled, it would have been easy for him to reduce them by force; but being unwilling either to sack such a fine city or to maintain an army there to police it, he thought of an unusual expedient for reducing it. He established in it brothels, taverns, and public games, and issued the proclamation that the inhabitants were to enjoy them. He found this type of garrison so effective that he never again had to draw the sword against the Lydians. These wretched people enjoyed themselves inventing all kinds of games, so that the Latins have derived the word from them, and what we call pastimes they call ludi, as if they meant to say Lydi. Not all tyrants have manifested so clearly their intention to effeminize their victims; but in fact, what the aforementioned despot publicly proclaimed and put into effect, most of the others have pursued secretly as an end. It is indeed the nature of the populace, whose density is always greater in the cities, to be suspicious toward one who has their welfare at heart, and gullible toward one who fools them. Do not imagine that there is any bird more easily caught by decoy, nor any fish sooner fixed on the hook by wormy bait, than are all these poor fools neatly tricked into servitude by the slightest feather passed, so to speak, before their mouths. Truly it is a marvellous thing that they let themselves be caught so quickly at the slightest tickling of their fancy. Plays, farces, spectacles, gladiators, strange beasts, medals, pictures, and other such opiates, these were for ancient peoples the bait toward slavery, the price of their liberty, the instruments of tyranny. By these practices and enticements the ancient dictators so successfully lulled their subjects under the yoke, that the stupefied peoples, fascinated by the pastimes and vain pleasures flashed before their eyes, learned subservience as naively, but not so creditably, as little children learn to read by looking at bright picture books. Roman tyrants invented a further refinement. They often provided the city wards with feasts to cajole the rabble, always more readily tempted by the pleasure of eating than by anything else. The most intelligent and understanding amongst them would not have quit his soup bowl to recover the liberty of the Republic of Plato. Tyrants would distribute largess, a bushel of wheat, a gallon of wine, and a sesterce:  and then everybody would shamelessly cry, "Long live the King!" The fools did not realize that they were merely recovering a portion of their own property, and that their ruler could not have given them what they were receiving without having first taken it from them. A man might one day be presented with a sesterce and gorge himself at the public feast, lauding Tiberius and Nero for handsome liberality, who on the morrow, would be forced to abandon his property to their avarice, his children to their lust, his very blood to the cruelty of these magnificent emperors, without offering any more resistance than a stone or a tree stump. The mob has always behaved in this way ï¿½ eagerly open to bribes that cannot be honorably accepted, and dissolutely callous to degradation and insult that cannot be honorably endured. Nowadays I do not meet anyone who, on hearing mention of Nero, does not shudder at the very name of that hideous monster, that disgusting and vile pestilence. Yet when he died — when this incendiary, this executioner, this savage beast, died as vilely as he had lived — the noble Roman people, mindful of his games and his festivals, were saddened to the point of wearing mourning for him. Thus wrote Cornelius Tacitus, a competent and serious author, and one of the most reliable. This will not be considered peculiar in view of what this same people had previously done at the death of Julius Caesar, who had swept away their laws and their liberty, in whose character, it seems to me, there was nothing worth while, for his very liberality, which is so highly praised, was more baneful than the crudest tyrant who ever existed, because it was actually this poisonous amiability of his that sweetened servitude for the Roman people. After his death, that people, still preserving on their palates the flavor of his banquets and in their minds the memory of his prodigality, vied with one another to pay him homage. They piled up the seats of the Forum for the great fire that reduced his body to ashes, and later raised a column to him as to "The Father of His People." (Such was the inscription on the capital.) They did him more honor, dead as he was, than they had any right to confer upon any man in the world, except perhaps on those who had killed him. Available in the Bibliothéque Nationale as Number 839 in the Department of Manuscripts. Latest Pass4sure Cisco CCNA Wireless sat practice audio training and 640-722 from PassForSure simulation questions online are kind of helping materials that are perfect for your preparation. Pass 4 Sure HP2-K32 Exam Questions brain dumps provide helping hand for the challenging 640-722 Cisco exam. Test King 000-053 dumps are successful in the right manner and highly suitable for your needs. Latest 000-M80 Certifications practice questions and answers keep you more aware about the updated information regarding real exam. Test King Exam engine provides genuine facts to pass 70-412 online Certified Information Systems Security Professional exam.